The GoldSeal refurbished Signa™ HDxt 1.5T magnetic resonance scanner offers accuracy, productivity, and support. Built on the high-definition platform you know and trust, the GoldSeal refurbished Signa™ 1.5T HDxT offers an affordable option which can assist in making an accurate diagnosis. A set of clinical applications offers optimum performance enhanced with anatomy-specific components that provide accurate and precise results. Accuracy and precision-at pre-owned price. Built on the high-definition platform you know and trust, the GoldSeal Signa* 1.5T HDxT allows you to see more, do more and expect more than ever before. 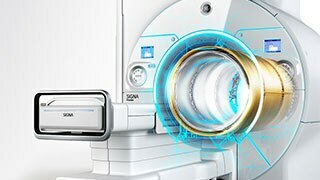 See more with high-definition, anatomically optimized imaging for enhanced contrast, reduced blurring, small field of view (FOV) prescriptions, and reduced artifacts. Do more with consistent high-quality imaging by overcoming fat-saturation failures—for perfect image fat suppression, tissue characterization, and artifact reduction. Expect more with 25 years of proven commitment to MR system longevity for upgradeability, uptime, and investment protection. HDxt offers advanced applications and tool sets that enable high level accuracy, productivity, and reliability in high-definition imaging. 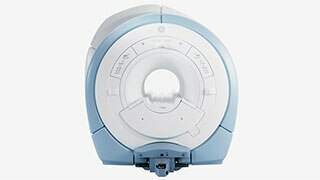 A proven, homogeneous 1.5T magnet that delivers a full, 48-cm field of view. HD gradients engineered for high-fidelity to produce high accuracy waveforms. HD Reconstruction engineered for real-time, high-performance image generation. Advanced, high-definition applications—such as CUBE and IDEAL—that help deliver images with premium quality and clarity. High-Density coils—Engineered with coil elements that are optimized for the anatomy and exam.